Sure, Take Two is number 1, but who's the best of the rest? Metacritic buckled down and compiled a list of the highest, and lowest, rated game publishers of 2010. By averaging all the scores of all the games published by all the large and medium-sized publishers last year, Metacritic has produced the 2010 Game Publisher Rankings, a list of who consistently publishes good games, and who, well ... doesn't. 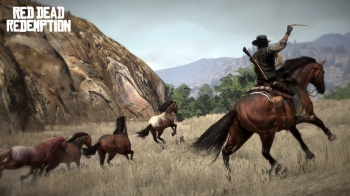 Red Dead Redemption and the string of DLC that followed it. The other names in the top 5 are equally predictable. I also find it rather laudable that Metacritic took the time to give the smaller guys their own category, and recognized the difference in resources they have compared to powerhouses like Microsoft. To check out the full list and why they received the scores they did, check out the article.